Jamie Barnes - "Honey from the Ribcage"
Having already reviewed Jamie Barnes' The Fallen Acrobat CD (see AI #26) it wasn't such a shock this time around. By that I mean an acoustic driven singer/songwriter is not what I typically hear when a Silber Records package shows up in the mail. But to hell with expectations… I'm a sucker for a well written and performed song. And as singer/songwriters go Jamie is a damn fine practitioner of the trade. Based in Louisville, Kentucky, Jamie plays a brand of folk music with a real Americana feel, while walking just far enough off the beaten path to keep the listener engaged throughout this enjoyable set of ten songs. He strums a gorgeous melody, has a pleasant picking style and has the perfect singing voice for this type of music. In addition to guitar and vocals Jamie plays banjo, keyboards, glockenspiel, melodica, sitar, tabla, ocarina, music box and drums, with guests helping out on keyboards and ebow. 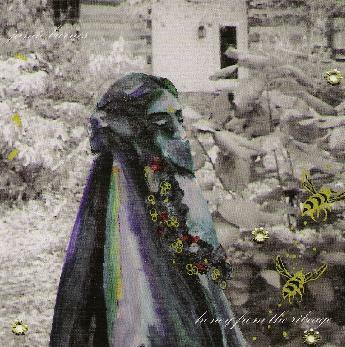 Folk music fans and anyone into heartfelt songs will find much to enjoy on Honey from the Ribcage. For more information you can the Jamie Barnes web site at: http://www.jamiebarnes.net.